Tears filled Brandi Dowell’s eyes as she was pushed towards the operating room. She was in labor with her fourth child, Watson, and after three successful drug-free deliveries, her labor had stalled out this time. Baby Watson’s heart rate had started to dip with each contraction, so after more than 24 hours of drug-free labor, her doctor and medical team made the decision that it was time to deliver the baby via C-section. Brandi said she had decided against using drugs or an epidural for a hopefully faster recovery and, in fact, less of a chance for an emergency C-section. That was her plan for all four births, along with the couple being surprised with the gender. “It all went really quick, and then there was my precious Watson, another boy,” said Brandi, with a smile. “He was absolutely perfect.” She spent several days recovering in the hospital, and after some missed basketball games, downtime and a couple of weeks of no driving, all was back to normal. 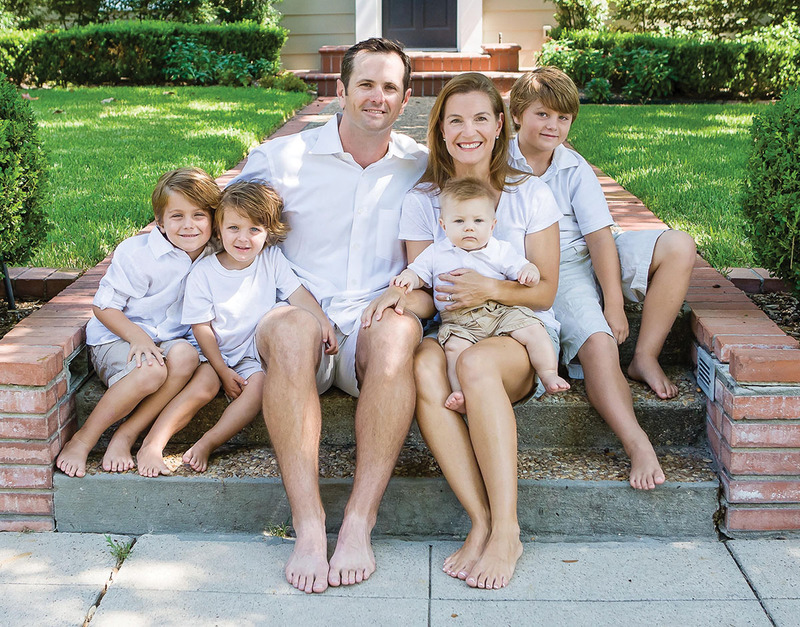 The couple also had a dose of the unexpected with their first son, Fletcher, now 10. They had toured several hospitals, but when the due date arrived, they had trouble finding an available room. Almost one full week past her due date, her doctor called with an open room at Methodist Hospital. They rushed there. She was induced and delivered 12 hours later. Y’ALL GO PLAY When Amber Lewis had baby Beck, her labor progressed so quickly that her two older sons, Evan and Cade, were in the hospital room during delivery. 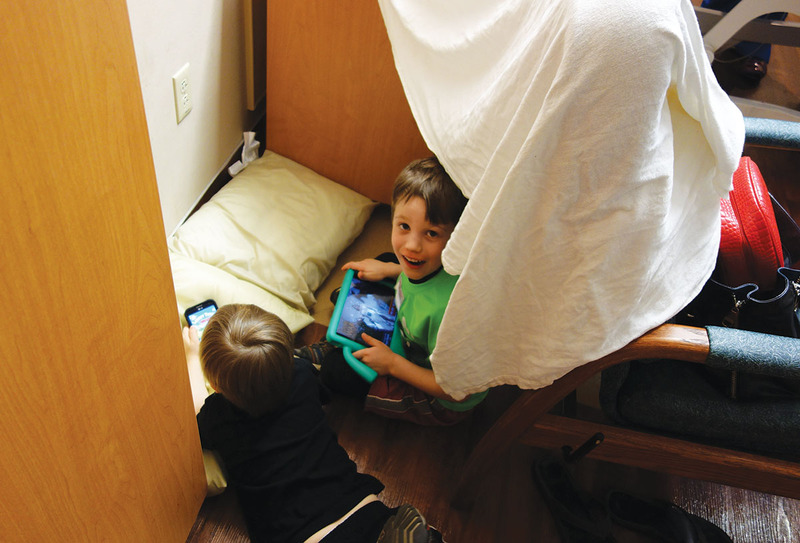 The nurses made a fort out of chairs and sheets to keep them occupied. Mom-of-three Amber Lewis, who is expecting a girl in May, found herself in an interesting scenario with the birth of her third son, Beck, in April 2015. Upon their arrival at the hospital, she said her husband, Mike, warned nurses of her track record of quick labor with the two older boys, Cade and Evan. The nurse on-duty proceeded to check if she was in labor, standard protocol. “It was literally [the nurse’s] first day,” said Amber. “She couldn’t hook me up properly to the machines, so they were unsure about the [baby’s heart-rate] readings.” They sent her to another floor for an ultrasound. By the time she got back to her room, she was in full-blown, ready-to-push labor. She barely got an epidural at 10 centimeters dilated. That baby was coming.